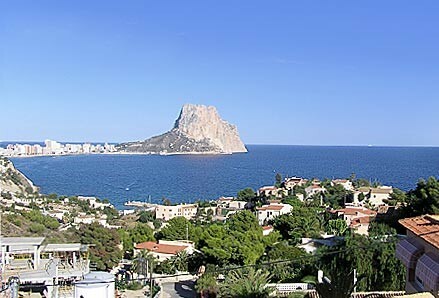 Alfaz del Pi, Spain, Costa Blanca, Altea, La, Vella, Albir, Benidorm, Calp(e), Alfaz del Pi, pool, luxury, golf, sea, beach, dishwasher, Dutch satellite TV, - Rent,a,House,Spain, holiday, bookings, Altea,La Vella,, Albir, Calp(e), Moraira, Javea, Benidorm, Alfaz del Pi, La Nucia, Alicante, Valencia. Swimming, Paddling and Playing on Albir or Altea Beaches – Albir and Altea have one of the most beautiful promenade and beach areas on the Costa Blanca, and Albir has won the European Union Blue Ribbon every year for the last 10 years. While a mostly pebbly and not sandy beach, it’s still a fun place for the kids as the water is clear and, with lifeguards on monitoring the area every day in the summer, it’s a great place to paddle or do a bit of swimming. Both the Altea and Albir beach areas also have some excellent children’s play areas, with brightly colored slides, climbing frames, a wooden playhouse and other fun kids’ stuff. Just make sure you don’t let them get too close to the water unattended, and you and the kids will have a great time. Terra Natura – One of the most popular fun things to do with children in the Albir and Altea area is to go to Terra Natura, a wildlife park just outside Benidorm. A massive entertainment complex, filled with more than 1,500 animals, Terra Natura is split into different sections – Asia, Europe, America and Pangea. In each area, you’ll find animals, reptiles and birds from that region, everything from sharks to elephants, parrots to juguars, armadillos and llamas. There are rides (on both animals and off), exotic food at hundreds of different restaurants and stalls, and don’t forget to bring your swimsuits so you can spend time at Aqua Natura – a huge waterpark with slides, bridges and water castles. The kids will have an absolute blast here. In fact, they’ll love it so much you might find yourself back there several times. Take the Train to Denia, Benidorm or Alicante – In this day and age, many children have never been on a train so being able to take a short train ride (between 30 minutes and an hour, depending where you’re going) to Denia, Benidorm or Alicante is a fun thing for kids to do. From Albir, you can catch the train at the tiny train station at Altea. Trains leave at 14 minutes past every hour, but go early as you can get coffee (and the kids can get donuts) at the extremely cute cafe in the train station. The train ride is fun as you get to see mountains, ocean, orange groves, sheep, even a few donkeys and with it not being too long of a journey it’s fun for the kids without being tiring. Enjoy a Medieval Show at Castillo del Conde de Alfaz – Castillo del Conde de Alfaz is a superb medieval banquet entertainment center, with an hour and a half show featuring knights on horses jousting, sword fights, tournaments and court jesters. After the show, there’s even a scary dungeon you can go through, which the kids will love. The ticket to Castillo del Conde de Alfaz includes an excellent dinner, where you eat with your hands just like people did 500 years ago, as well as copious amounts of beer or sangria for the adults. The kids will have their own mini version of the dinner, with lots of finger-type foods they’ll love and ice cream for dessert. While tickets are quite pricey, the first kid does get in free, with each additional child costing 29.95 euros. Just make sure your children get a nap in the afternoon, as the Castillo del Conde de Alfaz dinner and show doesn’t begin until 9pm.